As we get to know you and understand your personality, we are able to draw out your wedding story and capture the unique personal moments from your wedding day. Our drive passion and natural talent make us some of the most sought after Long Island wedding photographers. History and elegance are intricately entwined at Coindre Hall. The estate features an 80,000 square foot mansion with bold medieval architecture. The mansion boasts 40 luxurious rooms, six roaring fireplaces, and a graceful circular stairway. The opulent architecture provides many opportunities for one-of-a-kind photos. 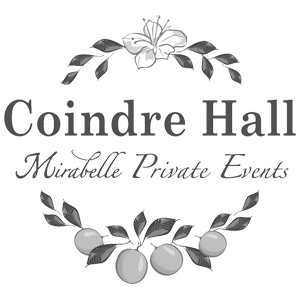 Although some wedding venues restrict your ceremony and reception to a single location, the Chateau at Coindre Hall affords multiple rooms for your special event. You may wish to take your vows outdoors on the manicured lawn, overlooking verdant gardens with colorful blossoming flowers. Then invite your guests to join you for a cocktail hour on the terrace and after enjoy a formal meal then dance the night away in the Grand Ballroom. Coindre Hall has a capacity for 200 guests for an outdoor wedding and 160 guests for indoor ceremonies. While you’re planning your special day, you will have a talented wedding planner by your side to help with every step. The Chateau’s wedding planner can recommend approved vendors for everything from wedding invitations to floral arrangements. You have the option of a four or five-hour wedding reception. Each is complete with flowing top-shelf liquors; butler passed hors-d’oeuvres, mouthwatering entrees and food station. The cuisine has a French style with a touch of Americana. This venue also offers an off-season wedding package from November through until March. The package features a D.J., custom wedding cake, flowers, and a limousine. The Chateau at Coindre Hall is a renowned National Historic Landmark. Your wedding guests are invited to explore the estate throughout the wedding and reception to soak up the history and ambiance. There’s no need for them to worry about spoiling another wedding because the Chateau only hosts one event at a time. What’s more, the Chateau is within a few minutes walk of the beach, so you can take a romantic stroll, or use this as a great photo opportunity. The chateau’s award-winning culinary team offers a delightful array of tasty hors-d’oeuvres. Your friends and family can follow these with up to four stations such as steakhouse, pasta, tuna, or Asian. You and your groom will also receive a 4-tier wedding cake made to your specifications. As wedding photographers, an important part of our job is creating close relationships with our clients and getting to know them on a personal level. Call us so we can arrange to get together and discuss your wedding plans and how we can preserve your memories for years to come.